As we approach the anniversary of our first QUAD Foundation Walk & Roll on DC, we are so excited to share the news that we will be returning to our nation’s capital again on April 10th & 11th. This year, we are partnering with Christopher & Dana Reeve Foundation! 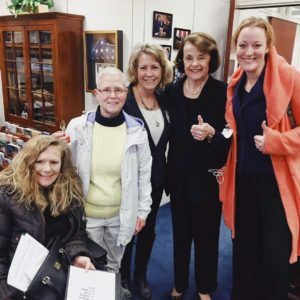 We truly hope you will return with us in April to meet with lawmakers to advocate for policy changes and improved services for our spinal cord injured friends and family members, and others living with disabilities. Since our first Day on The Hill last year, the President has approved and signed into law three of the issues we raised, including the Air Carrier Act which provides for better treatment for our wheelchair travelers, the RAISE Family Caregivers Act which provides for better support for our nation’s carers, and increased funding for the CDRF Paralysis Resource Center which provides nationwide grants supporting our paralyzed community members. Our voices were heard! The goal this year is to meet with members of Congress representing every state in the union, and we need boots and wheels on the ground to make that happen! We will return to the Capital Hilton for a training luncheon at 1:00p on Wednesday, April 10th, followed by meetings all day on Thursday, April 11th. Please mark your calendars and plan to join us in Washington on April 10th – 11th!